Ever fancied a short break or a longer holiday in a hideaway tucked away in a beautiful part of Mid Wales that has no electricity and relies on gas for cooking and water heating. Lighting in Straw Cottage is provided by candles and lanterns, rechargeable gaslights and a solar light. Not all mod cons are missing, however, as there is a hot shower, flushing WC, wood burner and comfortable beds. Two large sofas, a Welsh dresser, a butler’s sink and a large wooden dining table with candelabra above all help to give the Straw Cottage a welcoming and authentic feel. 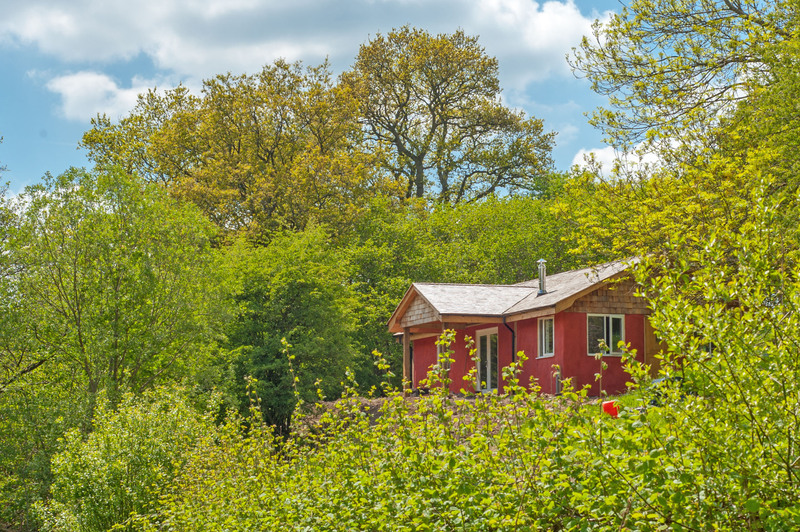 Nestling in a wooded glade on Ty Gwyn Farm, less than three miles from Victorian spa town of Llandrindod Wells, Wales, this is no ancient cottage refurbished for tourists. 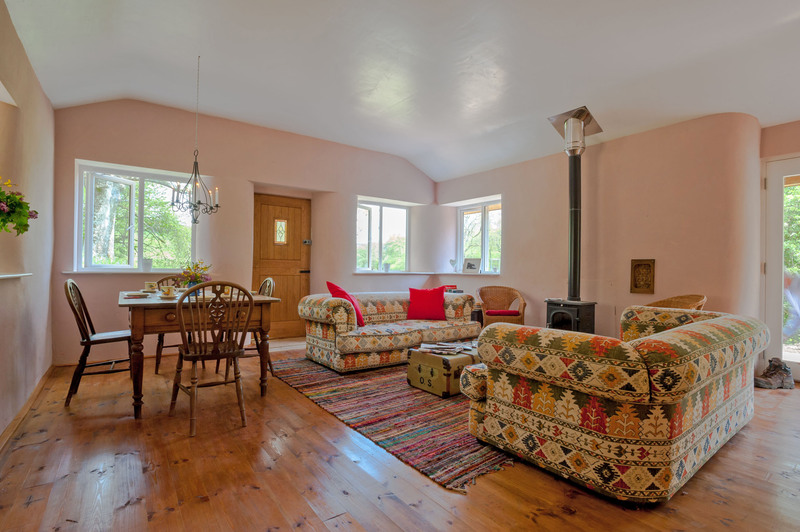 The cottage was built as recently as this winter by Anthony and Margot Porter on their 130-acre organic beef and sheep farm using centuries old building methods. As the name suggests, the walls are made of straw bales and then coated with lime mortar inside and out. The roof insulation is sheep’s wool and the roof is covered with cedar shingles. 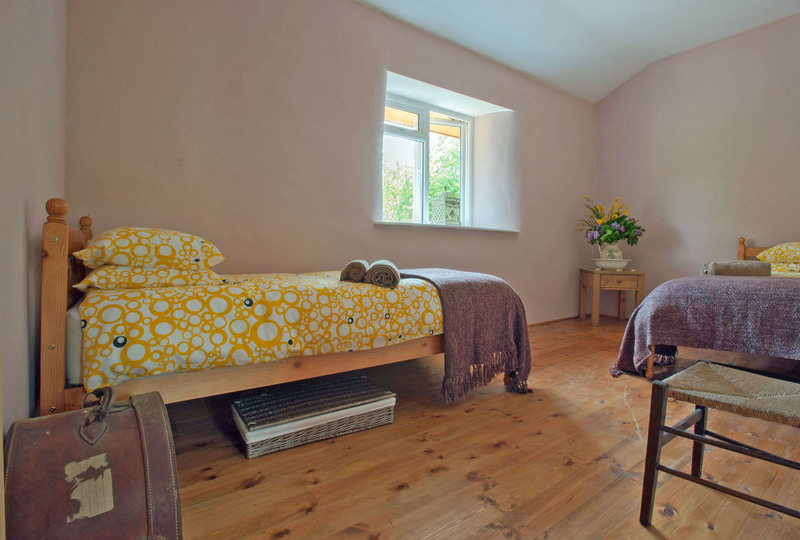 Anthony’s inspiration, the cottage is now ready to welcome holidaymakers seeking an authentic country break. Sleeping four in two bedrooms, there is also plenty of space for children to camp outside, making it ideal for two families to share. Tourists from across the world can experience living far away from the madding crowd, surrounded by nature, with their own piece of land, where children can play and explore or even build a den. The aim was to provide comfortable and cosy accommodation where couples and families could relax and enjoy a lifestyle of a bygone era but with some modern comforts. For children there are plenty of animals to see – sheep, cows, horses and dogs. They can play rounders or cricket in the meadow, pond dip in the stream, take part in a treasure hunt around the farm or try their knowledge at an entertaining countryside quiz. Off the farm, there are plenty of other places to visit in the area. Llandrindod Wells has supermarkets, shops and restaurants, a 13-acre lake and the National Cycling Museum. Further afield there is a variety of small market towns, attractions and events for both adults and children. 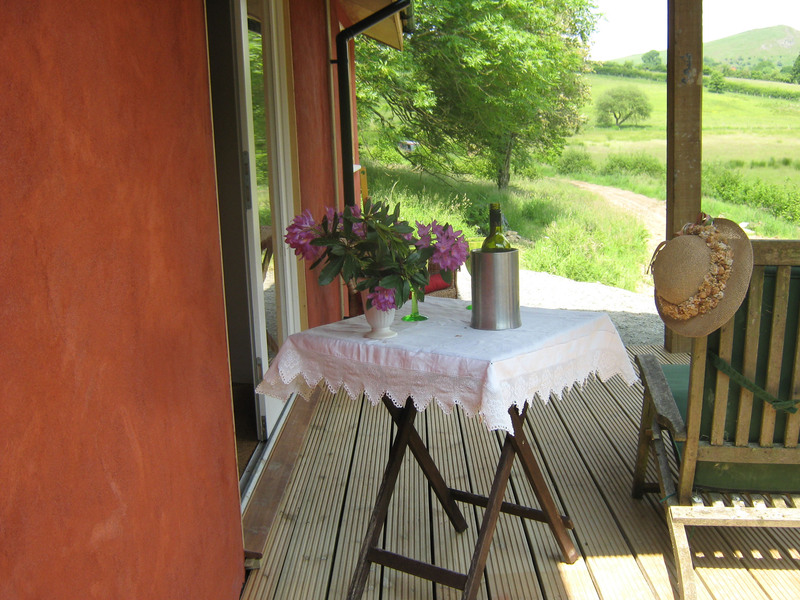 The Straw Cottage is open all year round for weekly and short break lets. Prices start at £340 for a three night break and £500 for a week’s stay.